No panic any more! Let’s solve it together here! System interrupts is an official part in Windows operating system. It manages the communication between your computer hardware and system. You can find it shown as a process in Task Manager. That’s used to display the CPU usage of all hardware interrupts. 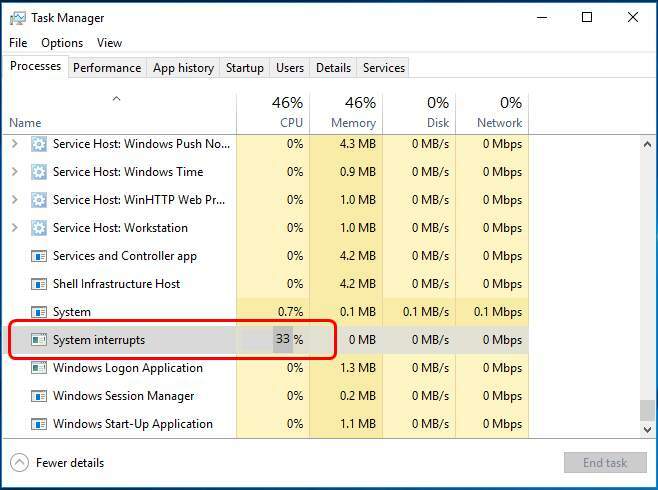 If you find System interrupts keep taking up over 20% CPU usage, it means there’s something error with your hardware or the driver. Go with the following solutions to fix it. First of all, try to reboot your Windows 10. No kidding! Restart your computer always can fix a lot wired issues. Thus be sure to try it at first as it’s easy enough to take. If your device driver misbehaves, then the error may also occur. So you can update your drivers to try to fix the issue. 1) Press the Windows logo key + X key to open quick access menu. 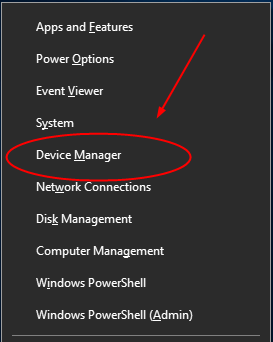 Then click Device Manager to open it. 2) Expand any dialog and right-click on your device to choose Update driver. Choose Update driver and go on to click Search automatically for updated driver software. Then Windows will start to detect the update for your device. After update one device, check for update of your other devices as the same steps. Note: If you check for the update one by one, it could be very tedious and really time-consuming. Let Driver Easy help you! Instead of checking after each, it can scan out all of your missing, corrupted and outdated drivers in less than 1 min! Then you can try its Free version, and update your drivers one by one. Or update all your missing and outdated drivers automatically with just one-click with Pro version. No worry to try it as it comes with a no-questions-asked 30-day money-back guarantee and professional tech support 24/7. USB hardware can also cause System interrupts high CPU issue. 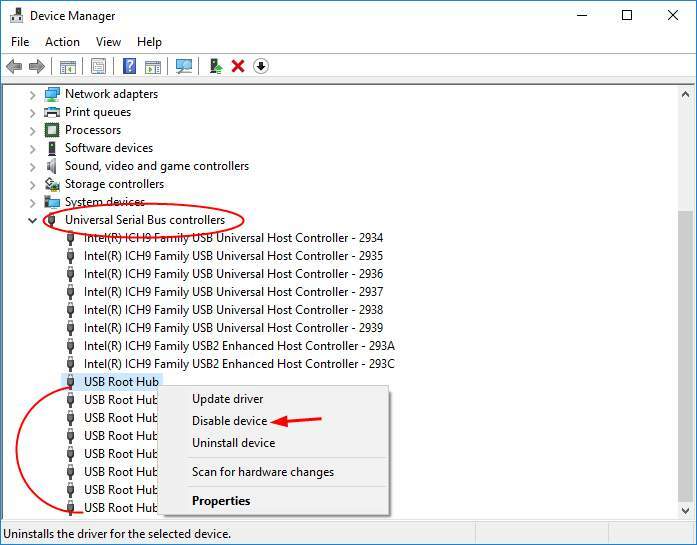 You can disable USB Root Hubs in Device Manager to fix it. 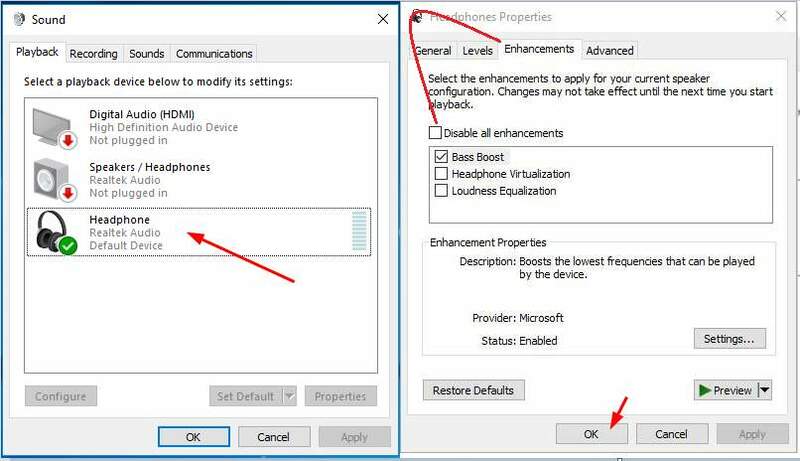 1) Follow the step 1 of Solution 2 to head to Device Manager. 2) Find and expand Universal Serial Bus controllers dialog. Then right-click on each USB Root Hub except the ones for your keyboard and mouse. Choose Disable device. Right-click on USB Root Hub to choose Properties. 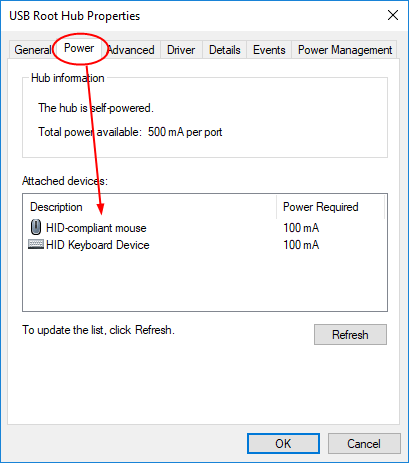 Then you can see the Attached devices on Power pane. 3) After disabling your USB Root Hubs, check if the CPU usage comes down. When you play music or video files, System interrupts CPU usage can go up as well. Disable sound enhancement to try to fix the issue. 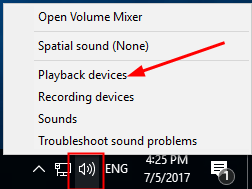 1) Right-click on sound icon in task bar to choose Playback devices. 2) Double-click on your playback device. Then choose to view on Enhancements pane to uncheck Disable all enhancements. Click OK to save your setting. 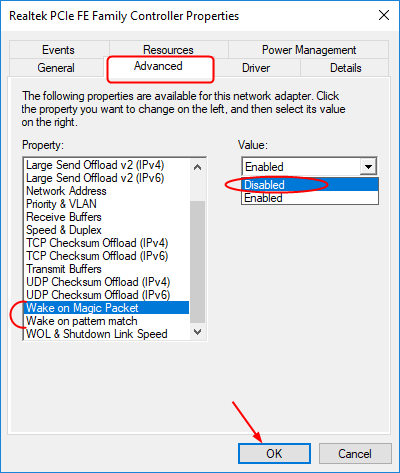 2) Expand Network adapters dialog. 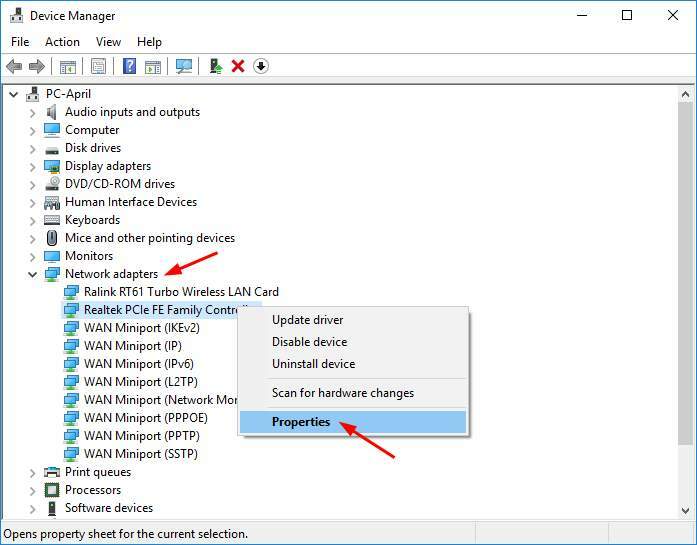 The right-click on your network adapter to choose Properties. 3) Choose to view on Advanced pane. Then scroll down to the Property Wake on Magic Packet and Wake on pattem match. Set their Value to be Disabled from the drop-down menu one by one. That’s all there is to it. Hopefully it can help you fix the error.